When you learn an ancient language like Greek or Hebrew you get spoiled by all of the different study helps and resources that are available. 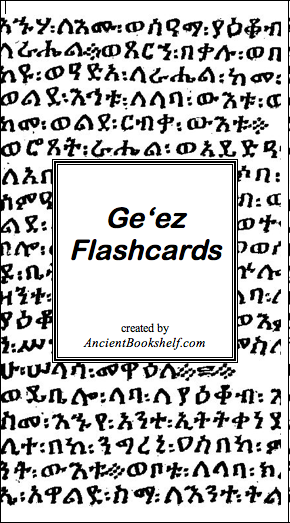 For Greek I have two different sets of flashcards, laminated quick reference guides, multiple vocabulary guides, and electronic versions of primary texts. 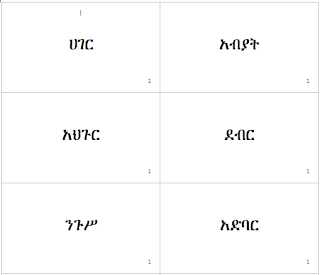 But when you go on to learn ancient/medieval languages like Syriac or Ge'ez study helps are a little bit harder to come by. 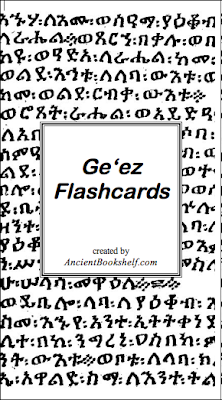 That's why I'm excited to be able to share these Ge'ez flashcards I've put together. 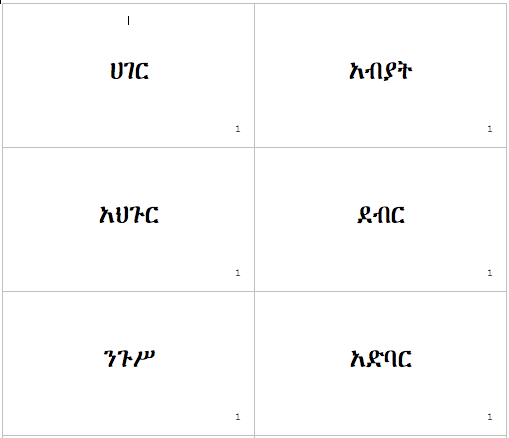 There are some instructions in the PDF on how to print and assemble the flashcards. I recognize that some may not want to go through the work of doing that themselves, so in the very near future I may start selling some finished sets through this website (price would probably be around $30 including shipping within the U.S.). If that's something you would be interested in, let me know.